you'll be in your element with our collection that embraces clean, unobstructed design, preserving the beauty of simplicity. 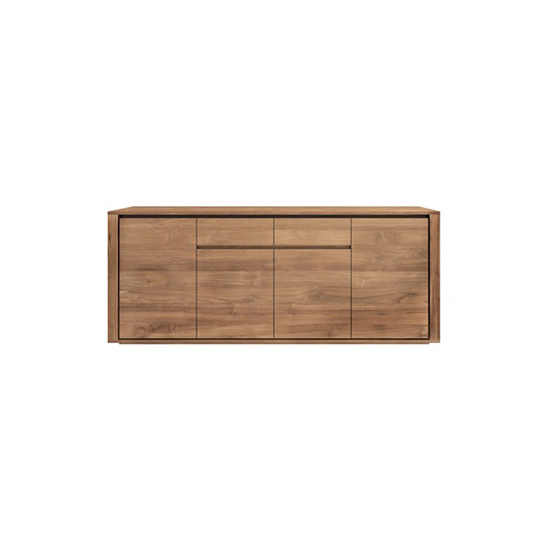 crafted in warm toned, solid eco-teak, our spacious elemental sideboard features four doors with grooved handles for easy access, plus two soft-closing drawers for discreet storage. elemental sideboard with 4 doors, 2 drawers was added to your cart!